The United States House of Representatives passed two bill Thursday intended to crack down on illegal immigration and crimes committed by illegal immigrants. 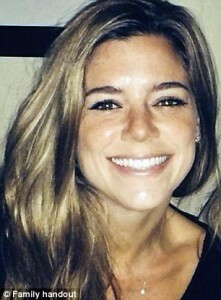 One of the bills, “Kate’s Law,” is named after Cal Poly grad Kate Steinle, who was allegedly killed by an illegal immigrant who had previously been deported several times and recently released from jail. Kate’s Law calls for raising penalties against illegal immigrants who are deported and then reenter the United States. If signed into the law, the legislation would impose fines and prison sentences on illegal immigrants who reenter the country or attempt to do so. Individuals who violate Kate’s Law but do not have felony convictions on their record would be fined and/or imprisoned for up to two years. Suspects caught reentering the United States who have criminal records would face prison sentences of 10 to 25 years. The House passed Kate’s Law in conjunction with the No Sanctuary for Criminals Act, which targets sanctuary cities. If signed into law, the No Sanctuary for Criminals Act would restrict awarding federal grant money to cities that bar local police from turning over criminal aliens to federal immigration authorities. It would also prevent the release of dangerous criminals awaiting deportation proceedings. Both bills include policies that President Donald Trump has endorsed as a response to the murder of Steinle and other similar cases. Steinle was shot and killed on a pier in San Francisco, which is a sanctuary city. Her alleged killer was released from San Francisco County Jail just weeks before the shooting, despite Immigration and Customs Enforcement (ICE) having issued a detainer for him. Following the passage of the bills, Trump issued a statement praising them, and he vowed to sign the legislation quickly if it reaches his desk. The Cost of your Cheap Veggies and Labor. I don’t want to protect this illegal immigrant guy, but the story of how or why he shot Ms. Steinle is still a mystery to me. The story I heard was a federal agent got his gun stolen and shortly thereafter Ms. Steinle was shot while walking on this pier with her father. Was the shooting an accident? Was he playing with the gun? Did he deliberately shoot Ms. Steinle? Did the gun go off on its own? Does anyone know the HOW and WHY Kate Steinle ended up with a bullet to her body? In any case, we should be very glad this Sanctuary City madness is coming to an end. How stupidly liberal an idea that has been. The only news piece I heard was that the gun was stolen out of and law enforcement officers vehicle. The shooter claims he found it under a bench and when he picked it up to have a look it discharged striking Kathryn. Why do you say “allegedly killed”? The guy shot her! This fact has never been questioned. I would have expected this kind of word smithing from the Tribune. Since when did we stop enforcing our laws? Those who don’t should have consequences when bad things happen. Oh that’s Easy….since Democrats started courting the Illegal Immigrant Vote….next…. I wonder how Kate’s parents feel about this? California don’t fight Trump just to fight Trump. if you want to oppose him oppose him on a legit topic. Trump is right on this one and he has the people behind him. I think it is sad that Kate Steinle had to die before the United States Congress understood that there is a problem with these illegal immigrants in this country, and we all ought to support this law. Santa Maria had their own ‘Kate Steinle’ story when an illegal alien killed Mrs. Marilyn Pharis, a US military veteran, after he had been convicted of seven felonies and ordered out of the country. In that case, local politicians including Santa Maria Mayor Alice Patino and Supervisor Steve Lavignino prevented ICE from deporting the illegal alien. America is a country of laws and illegal is a crime, not a race. I’m not sure thoughts have changed in Congress. Their biggest worry is to just keep them elected and they do whatever they think helps that. The biggest change is we now have a president that isn’t afraid to say what we have all known for years, that not protecting our borders is a problem. I hope President Trump is able to withhold federal money unless California politicians support our laws, California politicians only react when their money flow is in jeopardy. They still don’t understand…it won’t pass the Senate.